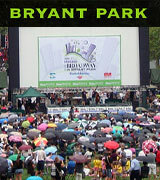 Summer in New York - for free - movies, concerts, theatre, opera, festivals etc. 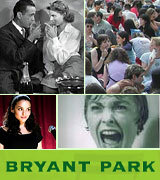 More free events in New York during Summertime! 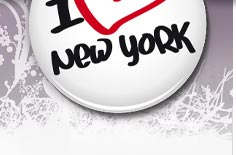 You will find much that is free for visitors in New York. Even more during the Summer when the parks open up their stages for music, film, festivals, etc. Below we give a few tips of what is offered during the summer in New York. Great artists perform on stage at the Rockefeller Plaza. Such as Pitbull, Imagine Dragons, Jennifer Lopez, Carly Rae Jepsen, James Taylor. The scene can be found at 49th Street and Rockefeller Plaza outside TODAY's window-on-the-world studio. Bryant Park is an oasis in between the skyscrapers of Manhattan, between 5th and 6th Ave (Avenue of the Americas). Here you can go to just get a break but also to listen to free music and watch free movies this summer. Besides the summer outdoor movies in the park, you can also come and listen to the fabulous Broadway stars who sing well-known songs from musicals: Mamma Mia, Wicked, Chicago, Phantom of the Opera, Rock of Ages, Jersey Boys, Les Miserables, Pippin, Rocky and STOMP and others. The lineup program for 2015 is not set yet. The success of free outdoor concerts in Central Park will continue this year. On May 23, 2014, it premieres with the group Lady Antebellum. Do not miss other Fridays as you can see for example: Jennifer Lopez, 50 Cent, Keith Urban, Kings of Leon, Enrique Iglesias and Brad Paisley and others. 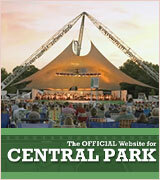 Since 1905, the Naumburg Orchestral Concerts has presented free concerts in Central Park. Between June 23 and August 4, 2015, you can enjoy free music. Central Park - Naumburg Bandshell (south of Bethesda Terrace between 66th and 72nd Streets). 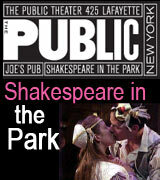 Between May and August Central Park is filled (Delacorte Theater) with Shakespeare. It's The Public Theater that plays "The Tempest"and "Cymbeline. It seems that free tickets are distributed. 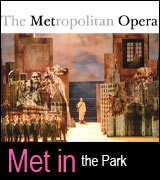 The Metropolitan Opera offer free opera this Summer. Between May to Oct 2015 you are offered music, dance, standup-comedy, theater and film, together with the Central Park Summerstage. See their website for everything going on in the summer. The New York Philharmonic offers free concerts in July. Since 1965, there have been played classical music in New York's parks. The success continues. There will be concerts in among others Central Park, Prospect Park (Brooklyn), Cunningham Park (Queens) and Van Cortlandt Park (Bronx). The concerts usually start at. 20. Every Wednesday evening from July 8 to August 19, 2015 free outdoor cinema is shown in the Hudson River Park - Pier 63 Lawn. Every Friday evening from July 10 to August 21, 2015 free outdoor cinema is shown in the Hudson River Park - Pier 46 at Christopher Street. Every Thursday evening between July and August you will be offered - Movies With a View. 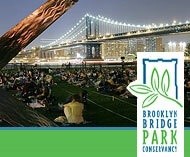 Come to Pier 1, Harbor View Lawn in Brooklyn Bridge Park and experience the classic movies. Get there early, the films begin at sunset. Have a great SUMMER in New York!